멘도사의 볼거리와 사운드를 즐기고 싶으시다면, Hotel Provincial이 바로 완벽한 초이스 입니다. 이곳에서 생생한 도시의 모든것을 쉽게 즐기실 수 있습니다. 호텔은 리오스 안디노스, 무세오 파퓰러 캘리제로, 티트로 인데팬덴시아 같이 셀수 없이 많은 관광지에서 한 걸음 움직이면 편안한 휴식처가 되어 주는 곳입니다. 멘도사에 위치한 호텔의 장점은 비할데 없는 서비스와 오락 시설이 마련되어 있는 것입니다. 24시간 프런트 데스크, 여행 가방 보관, 패밀리룸, 레스토랑, 여행 안내소 등 적지 않은 시설들이 있는 Hotel Provincial 숙박시설은 도심에 있는 다른 호텔들과 비교하여 현저하게 독특합니다. 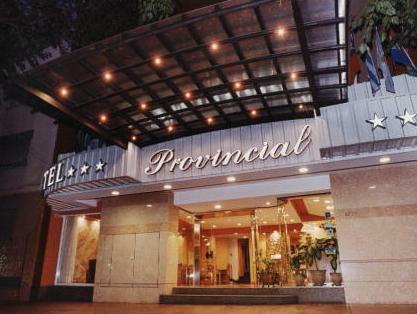 Hotel Provincial 고유의 분위기가 모든 객실에 반영되어 있습니다. 또한, 에어컨, 난방, 모닝콜 서비스, 전화기, TV 등이 대부분의 객실 내에 구비가 되어 있습니다. 호텔은 온수욕조, 헬스장, 사우나, 실외 수영장, 스파 등을 포함하여 다양한 종류의 여가 시설을 완벽하게 제공합니다. 이상적인 위치와 시설이 잘 어우러진 Hotel Provincial 숙박시설은 다양한 옵션을 마주 할 수 있는 곳입니다. dont forget the room rate has not the tax added to it. From speaking with other travellers in Mendosa this hotel was not good value. The massage lady did not want to be there. It was probably the worst massage I have ever had. Breakfast selection was very poor. We took two rooms, one was a double ideal for one person, but the other was with three tiny single beds. Furthermore the fan was broken and precariously hanging from the ceiling. Wifi had a very weak signal and didnt work well in room. Everything is an extra; key for safe is AR$5/day, sauna is a charge etc. Very few amenities advertised are free. The location is great. Walking distance to anything you will want to see in Mendoza. 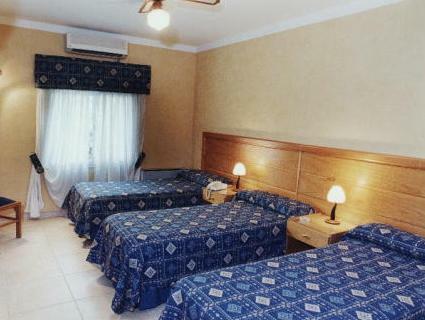 The hotel is clean and well cared for, but the rooms are tiny and the staff are for the most part, unilingual Spanish. Some are not very attentive. The one English speaker on the desk is lovely but he stands out for his being different than the others. This hotel is listed as 4 star on many sights. It is a 3 star hotel, even by there own admission. a) unexpected swimming pool, b) pragmatic early check-in and c) quiet place. wih my early check-in (at 09:00am) I received immediately a room to relax. However, the room was not really clean. and it never became clean during my 2 day stay at the hotel. very narrow room. no space to open my luggage. comparable to Japanese hotel room size. Compared to other 3 star hotels in Mendoza the facility was below the other's standard.I compared the places during my stay. Breakfast buffet was kind of poor to other experiences in 3 star hotels. Yoghurt and orange juce have been too "watery" (..). Selection of bread quite small. most disappointing fact was that the management/reception desk (an older and experienced lady) promised to order a taxi to the airport... but forgot it. even worse, I was waiting with my luggage in the lobby next to reception desk. She did not realise that I was waiting and did not ask about any service. Only when I traced her after 10 minutes she acted.... client service ?? ! This is a nice hotel in a good location. Its a short walk to the main attactions. The staff are helpful but their english is very average and in some cases bad. 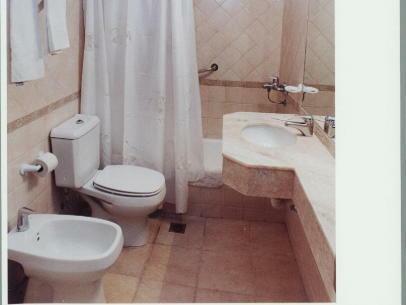 The rooms are very very small and there was a bad smell coming from the bathroom all the time despite it being cleaned daily. 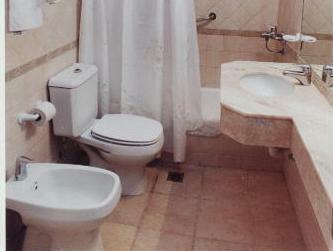 The hotel is quite basic as are the facilities. The breakfast is basic too. There are some lovely cafes nearby. In particular, there is an excellent restaurant across the road. hotel con excelente atención, buena ubicación, habitaciones confortables. recomendable. Muy buenas habitaciones, pileta climatizada y solarium. Muy buena ubicacion. Hotel muy recomendable, moderno, comodo, limpio y bien equipado. La atencion del personal es muy buena, cordiales y serviciales, y una excelente ubicacion.